It’s been many years since the church had a weekend away and with the introduction of more family meals, tea and coffee before and after our church services, it was thought that 2019 should be the year that we build on these relationships and have a weekend away of fun, faith and friendship. 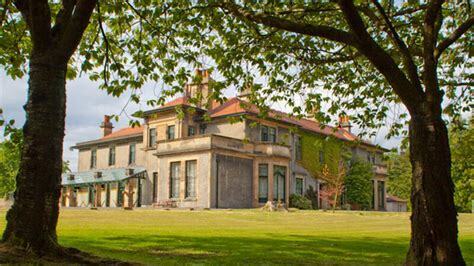 We have chosen Carronvale House near Larbert for the weekend Friday 25 October – Sunday 27 October 2019. It has a good mix of accommodation (twin rooms, double rooms quad rooms etc) and we have exclusive use of the house. There is accommodation for a maximum of 60 people, which we think is a good number and all meals, (breakfast, lunch and dinner) are included in the price. Carronvale is also very accessible and is about an hours journey from Peebles and we are hoping that most people will be able to arrive to start the weekend on Friday evening. We anticipate the weekend will be very flexible with some structured activities on Saturday morning and a ceilidh on Saturday evening, with some free time on Saturday afternoon. There will be a short service which Malcolm will lead on Sunday morning before we all return to Peebles after lunch. Within Carronvale House there is a lecture room, conference room and lounge with other smaller resource rooms available so there is plenty room for people to meet in small groups or as one large church family. On site there is an 18-hole putting green, an All-weather sports surface ideal for five-aside or other activities. Within the grounds there is a small nature trail offering the opportunity to learn about the flora and fauna in the grounds. Within the Sports Hall there is an extensive list of available sports equipment available for groups to use. Places for the Church Weekend Away are on first come – first served basis. Prices include all meals from Friday evening until Sunday lunchtime. More details about the programme for the weekend will be shared over the coming months, but in the meantime if you would like to book your place please complete the booking slip and hand into the office or to one of the team. Deposits of £20 per adult and £10 per child will be needed by the end of February.